That’s all for now! Phew it took me 2 hours just to upload these pics…hahaha! coooooooll, u new house is rocking. nicely decorated. u are really lucky. Ur new house looks soo beautiful dear,,nice interior decoration,,enjoy ur new home..
new home looks awesome, dear! !..love ur kitchen....black n white theme looks gr8! hello love, ur new kitchen looks like a palace! !..beautiful!..if i have this kind of kitchen, i dont think i want to cook, hehe. i will admire aje my kitchen sampai kenyang..boleh gitu?..hehe ..very nice indeed!! wow.. lovely palace.. great.. all the very best..
mak aihhhhhh!!! lawonyer umah ko lovee! nih tdo kat dapur pong xpe nih! hihihi... very nice dear! gorgeoussss!!! wowww!!!! 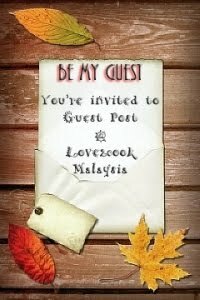 cantik betul la love.. terpegun akak tengok.. tang dapur tu yg cukup cantik, set dining pun lawo!! tahniah!! Awesome decor. You are a lucky women. wowwww cantiknyer dapur u n rumah..fuhhh b&w lagi tu..cantik sgt2...boleh tido kat dapur mcm ni kalau pegi umah love...tumpang tgok je kak N ni yer.. Awesome decoration ! Kitchen looks fantastic. Love,in the first place I would say that your kitchen is a modern deco...plus the dining set it looks more beautiful..u have a nice taste. Enjoy happily with your new home. Love...fanadtic beautiful kitchen..ni nak amsak & baking baru hari2 ada mood ya l;)masak sedap2 kasi kita sumer makan...ha ha..
tahniah..cantek sgt uma baru love ni..tambah semangat nak masak2 kan..
Love, u r so lucky to have a very beautiful kitchen! I really admired d colour n design...sweet n cool! woowwwww...lovee!!!! mmg fantastic & cantik giler ur kitchen..i'm so jealouusss now!!! waduh..x tau la biler akak akan dpt dapur sebegini cunn..u're one lucky lady..muaaahhs!! LOVEEEEEEE!!! i LOVE it!!! espcly ur aquarium tu...cantiiiiik sgt corals...no wonder la love xmo show b4 this!! !..tunggu umah baru yeee....congrats my dear!!! what a lovely home yarr.the kitchen and the the aquarium part looks so attractive.wonderfully done the interior decoration..hope u r really enjoying ur new home..the home is superrrrrrrrrrrrrrrrrrrrr..
WOW, this is awesome, just super pretty, I like white kitchen too. You are a super lucky women, you must be very happy now..
my oh my.......very2 beautiful kitchen u have.. lovey deaaaaaar. Maybe only in my dreams.....congrats 2 u n ur new house........superb. Good to see you after sometime..congrats on your new house..the kitchen look so good..lovely house..very nicely decorated..
Loveeeee...what a lovely and beautiful home! !Your kitchen really amazing! Wowwhhh..kalau akak datang, duk kat dapur pun ok..xyah pergi mana2 dah...you're so fortunate and one in a thrillion lucky wife, you know...I'm glad for your "dreams come true" and may you n family live happiness in this lovely home! Nanti idea masak2 pun akan bertambah dan malatopsss!! What a beautiful home you have very classy and chic. So beautiful...Loved your contemporary kitchen...enjoy your new house !! Anyway, tahniah la Love. Kak tie tumpang gembira !! Simply SUPERB!! chanteks sgt okeyh!! love, bila nak jemput kita semua warming ur kitchen. aloooo..my dear..kenapa x jd diet nie..fara dh turun 4.6kg nie dlm ms 3 bln..mmg slowla kan..sbb fara x amik apa2 ubat pn...bestnay tgk umah love..cantik,mewah mmg sesuai la dgn love kan? wow..superb and chic..enjoy your lovely house..
Nak nangis mama tengok Love punya rumah.. especially your kitchen. Kalau mama dapat that kitchen, I think most of the time habis kat situ je la. Not sure, whether time spent on cooking or just sit on that comfortable dining chair and keep admiring my kitchen! love your kitchen..it's really cool.. at first i thought it was a kitchen showroom...scroll down some more.. saw the marine tank..awesome... !!!! that's a wonderful nice house you have!!! nice kitchen where you're going to enjoy concocting your favourite recipes, huh??? lovely decoration!!! congratulations and enjoy!!!!! Wow, black and white is a superb concept. Really love it. Hi Love... you were backed but I was missing & now I'm backed..! Wow...what a gorgeous house.... love it! Congratulations! Sure this inspires you to spend more time at home & cooking! Loved the aquarium and your beautiful kitchen. B&W is always nice but I wonder how you gonna take care of your kitchen. Sorry, for the statement but I had the same concept for the last 5 years and to tell you the truth I had tough time taking care of my kitchen (especially the white tiles & cabinet). Just recently my hubby decided to change everything to a darker tone (thx to my hubby)for easier maintenance. FYI i love cooking just like you and spend most of my time in kitchen. My advise, always take good care of your kitchen especially with heavy cooking. All the best. Kak Roz ~~> Heheh, thanks kak! My word - that is lavish! I am totally visiting you, girl! Awesomeness!